• The processor thermal solution (heatsink) and associated retention hardware. • The LGA1356 socket, the independent loading mechanism (ILM) and back plate. • To assist board and system thermal mechanical designers. • To assist designers and suppliers of processor heatsinks. 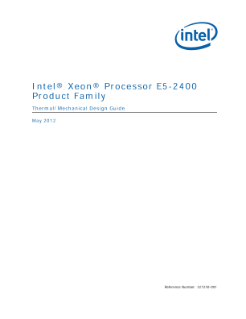 Thermal profiles and other processor specifications are provided in the appropriate datasheet.